Never let it be said that North Carolina doesn't have the best politicians money can buy. A lot of us think of Thanksgiving as a time to eat too much, take a couple of days off work, watch football on TV and hit the Black Friday sales. A nice, modern Thanksgiving. Originally, in the Pilgrim tradition, a thanksgiving day could be declared at anytime of the year, and was a day for solemn reflection and prayer. 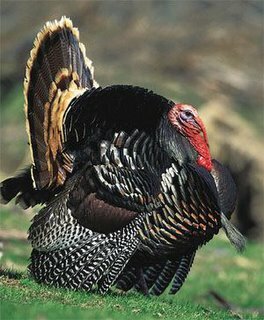 In 1863, during War Between the States, President Abraham Lincoln declared the last Thursday in November Thanksgiving Day. Over time, as American society became more affluent, food and fellowship with family and friends took over. As our current consumerism driven culture took hold, we added in the "After Thanksgiving Sale!" part of the equation. As I write this, the turkey is in the oven, and I have the CNBC special "The Age of Wal-mart" on the TV in the den. In a couple of hours, we'll load up the food and take a short trip to my Dad's house, to spend time with him and my Mom. It's easy to look at your life and see all the things that are wrong, that you don't like, that you aren't happy with. It's against human nature to be satisfied with the status quo, and that is what keeps us going. But for this one day, I'm going to count my blessings, and I'm going to be satisfied with the status quo. The Carnival of Cordite is on the air! Yes, the Carnival of Cordite #39 is up at Resistance is Futile!. Once again, Gullyborg has all sorts of gunny goodness and this time, some badness, as someone violates one of the Four Rules. Read and be enlightened. Beware, I have an entry this week.